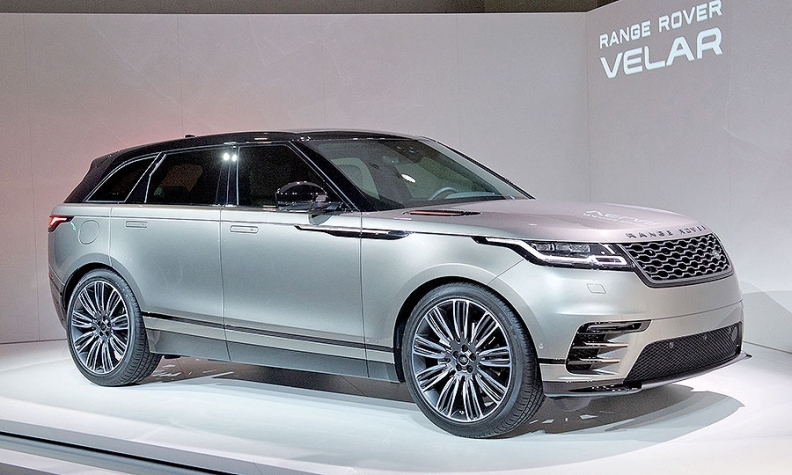 Range Rover will roll out the Velar this summer. LONDON -- UK car production fell 9.7 percent in May as some major manufacturers reached the end of older product lines and prepared to begin building newer models. Jaguar Land Rover is rolling out its new Range Rover Velar SUV, Honda's Civic Type R hatchback will be exported to more markets and a range of Nissan models are all expected to boost figures in the months ahead. But the highly successful UK auto industry, which is on course for record output by the end of the decade, remains concerned that Britain's exit from the European Union could harm plants by imposing tariffs and border checks on vehicles and components. "Maintaining our current open trade links with Europe, our biggest market, and further developing global markets is vital for this sector," said SMMT CEO Mike Hawes.